Netflix's Voltron 6th season is just as good as the first five. It's seven episodes taking the time to resolve the events from the prior season, that being Lotor being all nice and working together with Princess Allura for the betterment of all mankind and the universe. But is he? Better, a good guy, that is? Because when he showed up near the end of last season to proclaim he stands against all his father did, well, I was thinking the apple does not fall far from the tree but I was willing to be proven wrong. To be honest, this reboot of Voltron is a pure pleasure to watch. I remember the days that I watched it as a kid and when it came back to Netflix, under Universal's (Comcast/NBC) DreamWorks Animation production house, I was intrigued, wondering how they'd do this. And when they did, they brought back a new kind of Voltron. Each episode is roughly around or under 30 minutes which makes plowing through the entire season rather digestible. Cast voicing includes Jeremy Shada (Batman Brave and the Bold), Bex Taylor-Klaus (Scream The Series), Tyler Labine, Kimberly Brooks, Josh Keaton (Ben 10, Avengers Assemble), Rhys Darby, Cree Summer, Neil Kaplan, and Steven Yeun (The Walking Dead) [The Yeun years, back when it was good]. The show is mature enough to actually not bore this adult, while it does still have content for the younger generation, but if I were to take a guess, the demographic this show is aimed at are tweens, teens and adults with Voltron memories. Even though they have cute things for the younger kids, I am not sure there's enough of it to keep them interested for each episode. 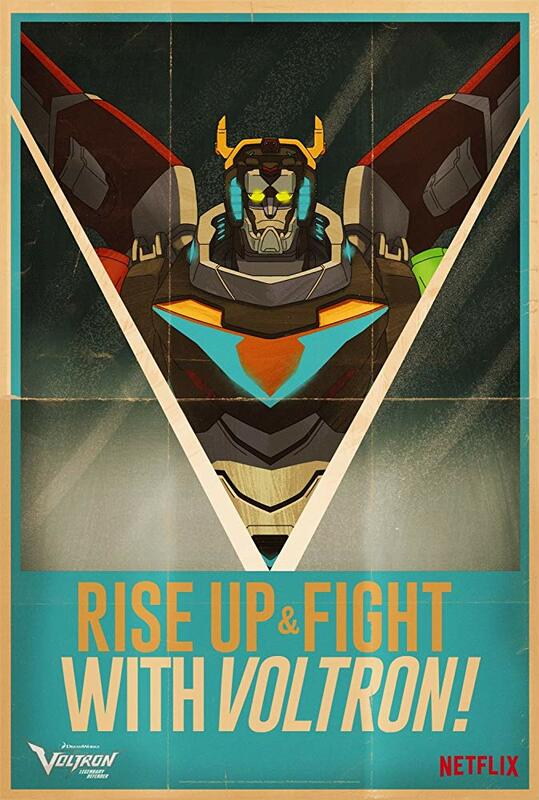 We don't see the lions take the shape of Voltron every single episode. In fact, over the six seasons we've seen plenty of solo Paladin adventures where each Voltron pilot has to contend with his own problems or challenges. Additionally, there are quite a few stories based around family and familial ties. Plus, somewhere in the third or so season I believe, they took the time to explain how the Lions work, and it's mystifyingly wonderful to hear it because to some degree, the lions do have their own personalities. Any way, if you watched Voltron as a kid, I think you will love this rendition. For me, it makes my train commute rather bearable and passes the time nicely.